Ridgewood Lakes Golf Club has risen up to become one of the most popular choices for a round of Orlando golf. That says a lot about the high level of quality found at Ridgewood Lakes Golf Club. This course is one-of-a-kind thanks to a challenging layout, excellent surface and fantastic attention to detail. 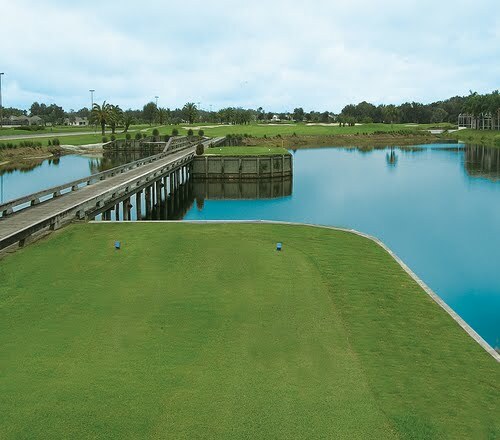 The layout at Ridgewood Lakes Golf Club was crafted by renowned architect Ted McAnlis, who has a fantastic reputation among seasoned golfers. Ridgewood also boasts Champions Turf greens, new bunkers, leveled tee boxes, and lush landscaping. This Davenport golf course ranks among Florida's must-play facilities. Ridgewood Lakes Golf Club first opened in 1994 with both nines sporting strategically-placed hazards and fairways framed by sparkling white sand bunkers. We also have water features on nearly every hole and multiple tee boxes that are certain to make visitors of all ages and skill levels feel both welcomed and challenged at the same time.